University of Witwatersrand admission application is currently on. Most people reading this post are considering Wits University. If you are one of them, then this post is for you. WikiSouthAfrica would tell you all you need to know about the admission requirements for the University of Witwatersrand. The acceptance into the University majorly depends on a department’s selection process. Prospective students are to take a written and graphics test. Interviews would also be conducted. Applicants should note that Mathematics is compulsory for programmes under Engineering & the Built Environment, Commerce, Law & Management, and Science. Applicants must have taken English Language either as the Home Language or 1st Additional Language. 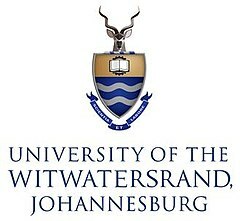 Wits University APS Score is determined by the best seven subjects in which Life Orientation is included. It should, however, be noted that the University of Witwatersrand does not distinguish between designated and non-designated subjects when it comes to calculating the APS. If you have any questions or enquiries please comment down below and we would attend to them.